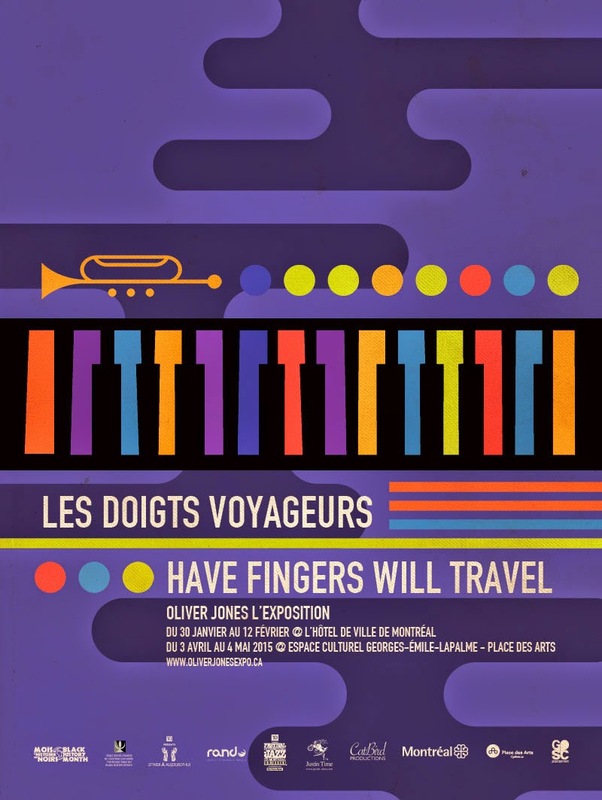 Oliver Jones is a jazz legend! The Montreal-born pianist is being honoured, and deservedly so...with a career that spans over 60 years, he helped put the Little Burgandy neighbourhood where he grew up on the map as a hotbed of jazz musicianship. 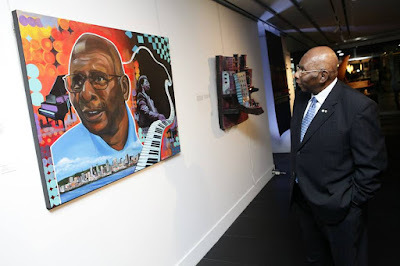 I was invited along with a handful of other artists to create a piece in honour of his great career and contribution to Black Canadian history. The exhibition will be at Place Des Arts in Montreal and opens April 3- May 4. For more info check out the official website! The exhibition opened up and it was absolutely fantastic. Mr. Jones was in attendance and blessed us with some words...there were many standout pieces including work by Montreal's own Kosisochukwu Nnebe and Maliciouz...click here to check out some photos from the evening...Many thanks to Le Mois de l'Histoire des Noirs staff and everybody who attended, and of course Mr. Oliver Jones himself for his inspiration and legacy! Jazz legend Mr. Oliver Jones viewing my piece honouring him!